Hello everyone, Thandar here today to host the blog for you! 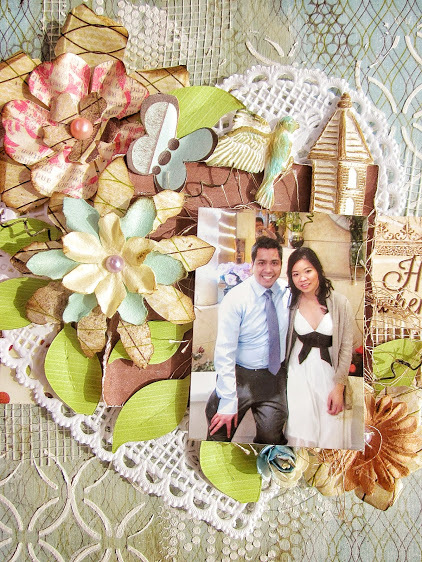 Today I would like to share with you this layout that I have created using the "Just Because" paper collection. Love the pre-distressed edges on the paper. 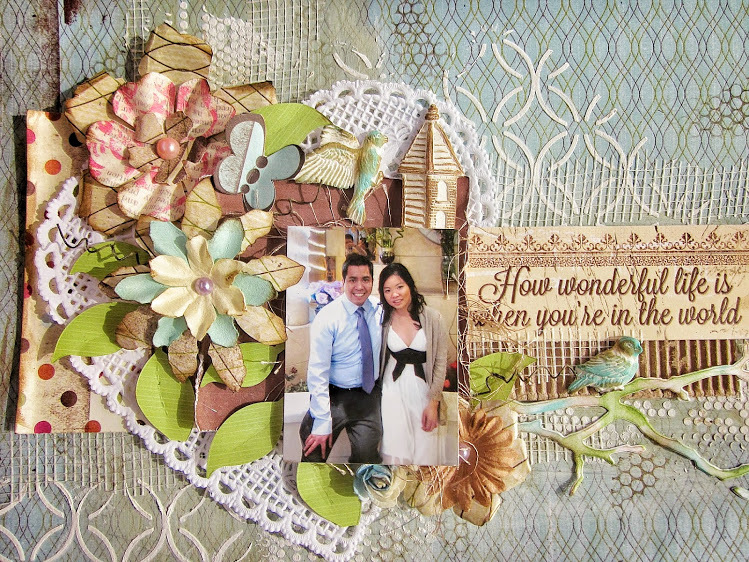 It makes it that much less work to create a mixed media layout. I went for soft and pastel look since I was so inspired by spring. That mean lots and lots of gesso right? I pretty much "white washed" all the surfaces on this project. "White Washing" is applying gesso with a dry paint brush all over the canvas or your project to soften up some rough edges. Kind of like us wearing foundation make up!! Well... that might be a bad analogy..lol... but I hope you understand this technique that I am trying to explain. Enjoy and Have fun creating. 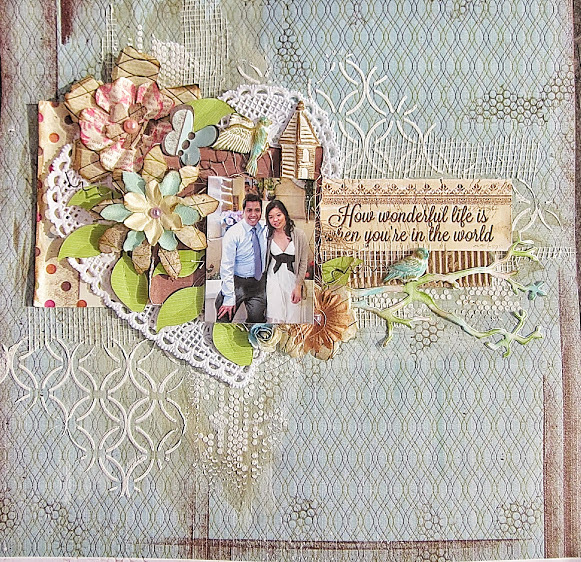 Love all the visual interest and texture you have added - wonderful!